Why run when you can ZOOM? 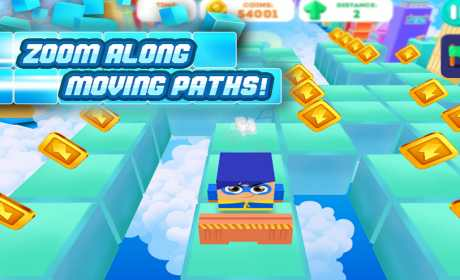 Swipe to ZOOM along the moving block paths as you chase the hero signal. 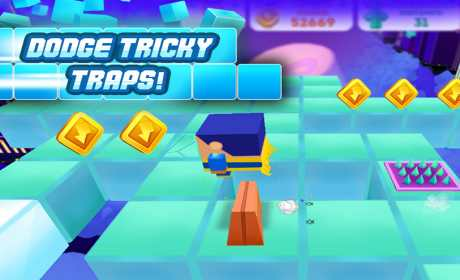 Tap to jump tricky traps, slippery ice, and spikey roadblocks. 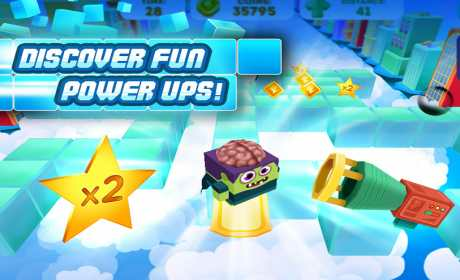 Collect coins and amazing power-ups so you can master the shifting platforms, and upgrade them for even more booster fun. Unlock all of the awesome heroes and go the distance! Compete for bragging rights for the best score in the world.